Mayor, made important and significant contributions to Penrith. The medals may be awarded for activities such as bravery, long-service and outstanding contributions to the community. Medals presented during a Mayor’s term of office will be limited to four. Do you know someone whose activities help to enrich the lives of the residents of Penrith? This award is given to people who have made a positive difference to the lives and well-being of people and quality of life in Penrith, who have supported charitable or voluntary work in the town, who have volunteered for the Town Council, or who have demonstrated outstanding citizenship. 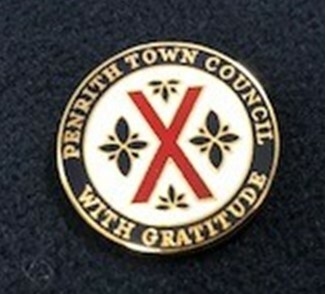 The awards are decided by the people of Penrith and is awarded based upon the number of nominations received and the reasons for the nominations. The award is open throughout the year and awarded accordingly. You will need to provide full details of why you are making the nomination giving comprehensive reasons why you consider that the person being nominated has enriched the lives of the residents. Each nomination will be considered on its own merits. What form will the award take? The award is a certificate bearing the name of the individual/s or organisation and an award of £150.00 to go towards future projects. Any organisation or individual who resides or is based within the parish of Penrith. All nominations must be returned to the Town Council Office. Details of the awards will be published at the Annual Town Meeting.